An intense six week (12 Hour) program designed for anyone who enjoys wine. 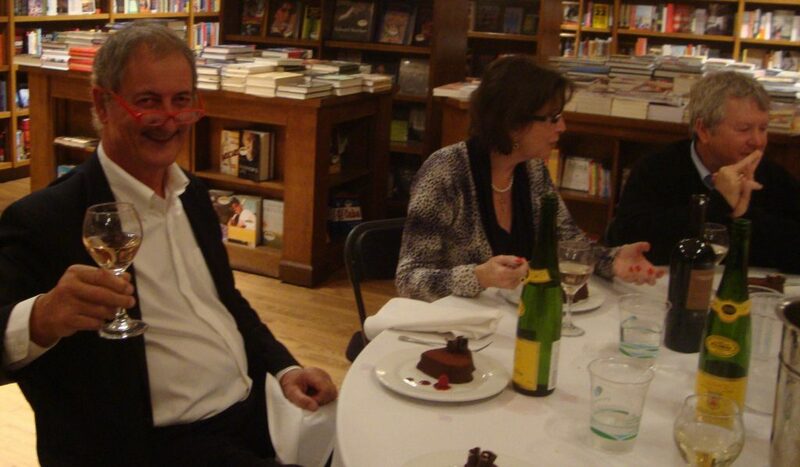 Each 2-hour class is held on Monday evenings after work between 6:00 and 8:00 PM at Books & Books, Coral Gables, Florida. The final class is followed by a dinner specially prepared by Chef Allen to pair with the 4 wines which the students voted to be their favorites during the course of the program. The total price ($295 + taxes) covers 12 hours of lectures, 24 different wines, all class materials and a four course wine-pairing dinner specially prepared by Chef Allen. Want to invite a guest to the dinner specially prepared by Chef Allen? Each student is allowed to invite a guest to sit at the table after the final class on Monday, August 27th at 8pm. ALL guests of the students should arrive by 8pm on the final Monday. Total price includes dinner ticket and gratuity. Book now to reserve your place in our class! The introductory class will provide all the basic background needed to better appreciate the more focused classes which follow. Specifically, the class will learn to appreciate the four senses – looking, smelling, tasting and finally feeling the wine in the mouth. While tasting our samples we’ll discuss the importance of using all the senses in evaluating wine and discuss the challenge of putting those evaluations into words. 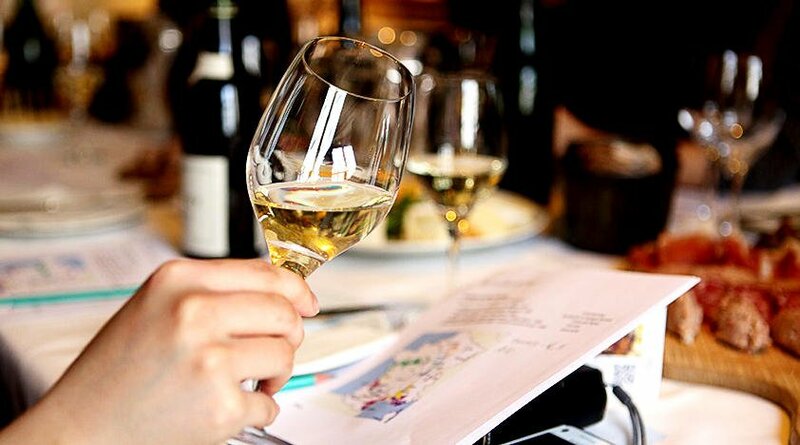 The class will examine the vocabulary of wine as well as how to buy it, store it, serve it and of course – how to enjoy it. During this class students will taste two whites and two reds. Students will study how vines are grown as well as how wine is made and finally bottled – they will examine the different types of grape and the different types of terrain that favor the creation of wine – the major red varieties (Cabernet Sauvignon, Merlot, Pinot Noir, Syrah/Shiraz) and the major white varieties (Chardonnay, Riesling, Sauvignon Blanc, Gewerztraminer, Muscadet) as well as more localized varieties like Zinfandel and Malbec. Students will also discuss champagne and fortified wines like port and sherry. A casual wine-tasting held in Paris in 1976 forever changed the world of wine production. The accidental significance of the event has been the subject of at least one book and also a recent movie. It will also provide the subject for today’s class. Unfortunately we will not be able to provide the legendary wines which were tasted on that day – but at least we will be able to re-enact that battle of the reds – between France and the USA – with a blind tasting. It is true that, partly due to the very strict discipline of their Appellation Controlee system, French wines have a well-deserved reputation as being the best in the world. But great wines have also been produced from all over Europe for hundreds of years. In this session we will examine the history, conventions, labels, major growing regions and wines of Germany, Italy, Spain and Portugal. The Books & Books Wine Appreciation Program admits to a Eurocentric bias. There is no way to rationally justify cramming ‘the rest of the world’ into this final class other than explaining that the program instructor is European. Nonetheless, the wines of the New World are filled with surprises and perhaps we are just saving the best till last. This final class is followed by a food-pairing dinner. After completing the course, most students like to enhance the experience by purchasing my wine book. 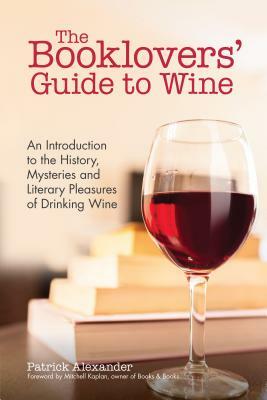 By reading the ‘Booklover’s Guide to Wine’ the reader will not only learn about wine and the history of wine but also about great writers and great wines. This wonderful guide to wine will lead both beginner as well as expert to the secrets of the best wines. Buy the book here.